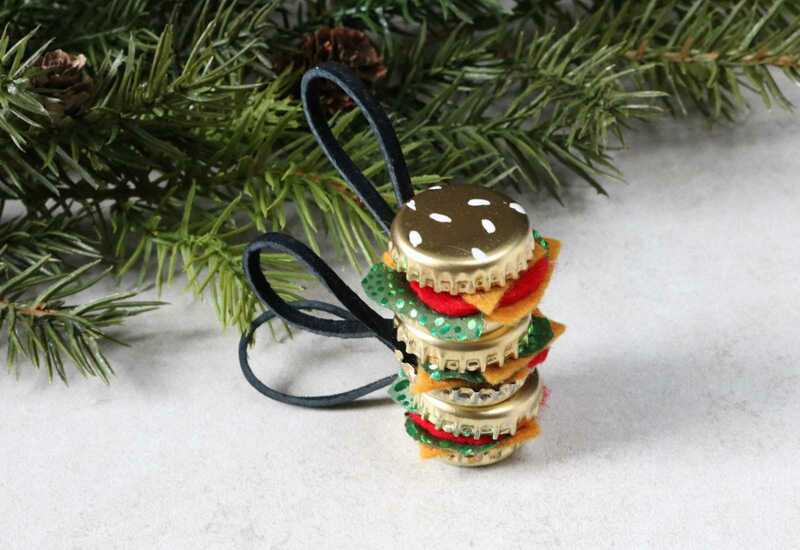 No Christmas tree of mine is safe from food ornaments. From DIY pie garlands to donut mirrors, I’m all about combining food and crafts. It gives me a chance to take a break from my usual style of edgier, darker crafts (skull ornaments, anyone?) for something a little more light-hearted. Interestingly enough, this reflects my personality so well: quiet and serious, with random splashes of sassiness and sarcasm. There’s a reason why this blog used to be called Studs & Pearls, after all. Christmas might be less than two weeks (?!?) 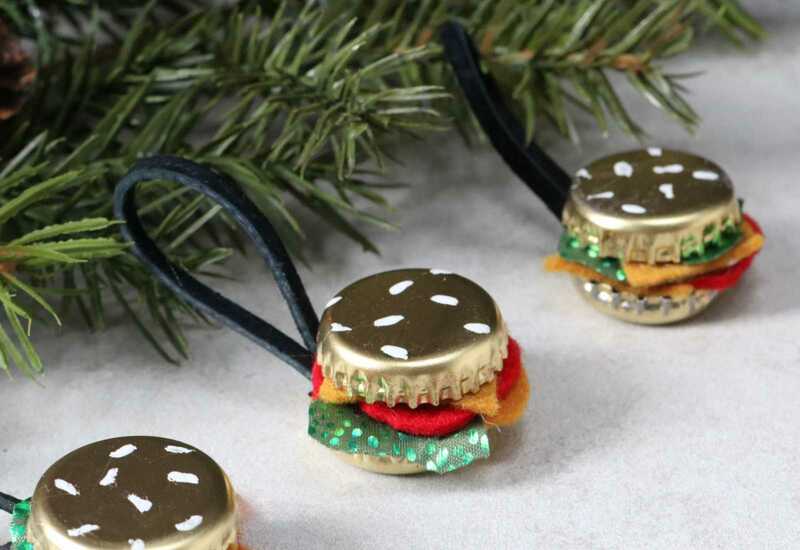 away, but these ornaments are easy to make. You might want to start digging around for those bottle caps now, though. 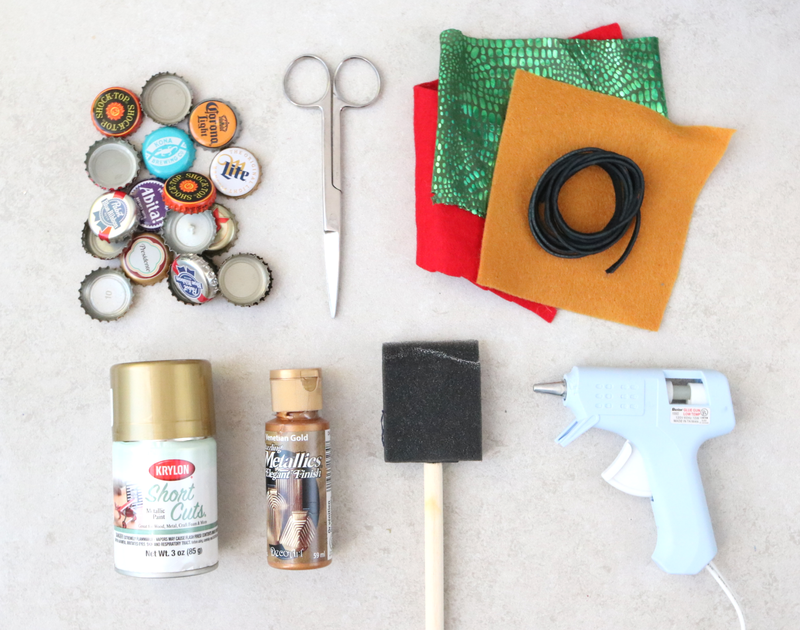 Alternatively, you can just buy some festive beer for the sake of crafting. I won’t judge. 1. 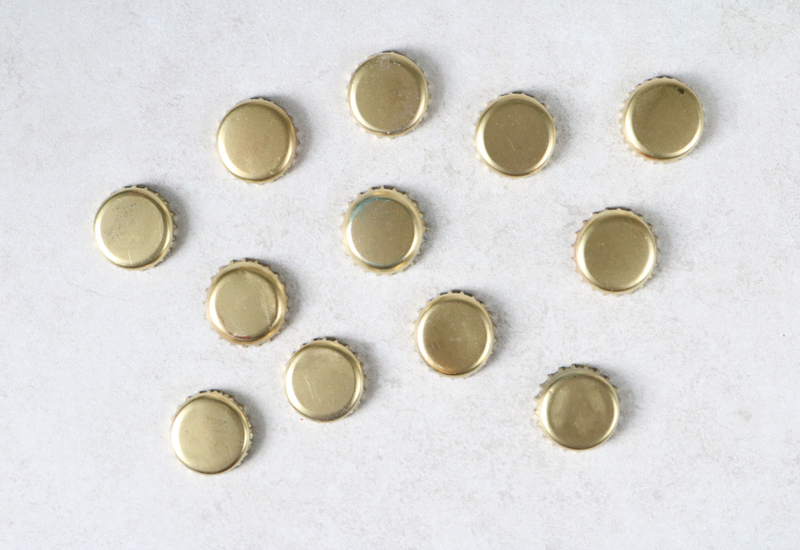 Head outside and spray paint the bottle caps a gold or brass shade. You can also add a layer of acrylic paint for added color, if you’d like. Leave to dry completely. 2. 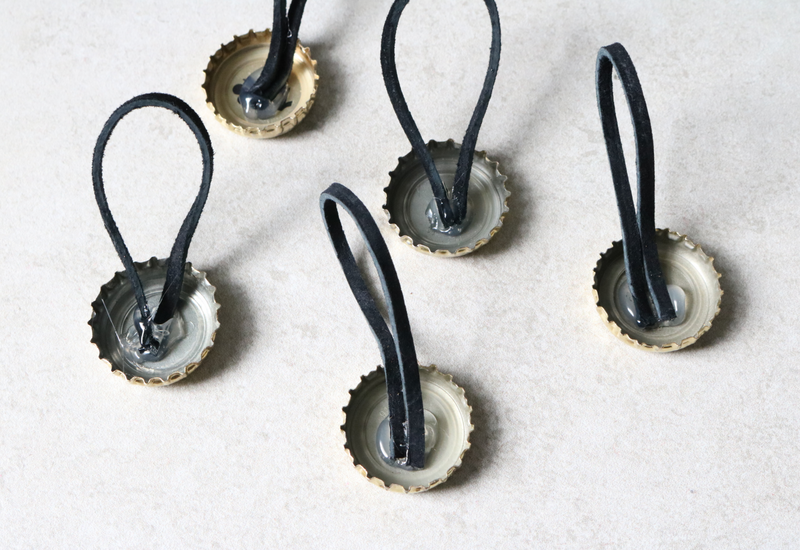 Once dry, hot glue short strands of cord to the inside of some of the bottle caps. Don’t worry if it’s messy; no one will see it. 3. Cut the yellow fabric into squares (cheese), the green into wavy-edged rectangles (lettuce), and red into circles (tomatoes). 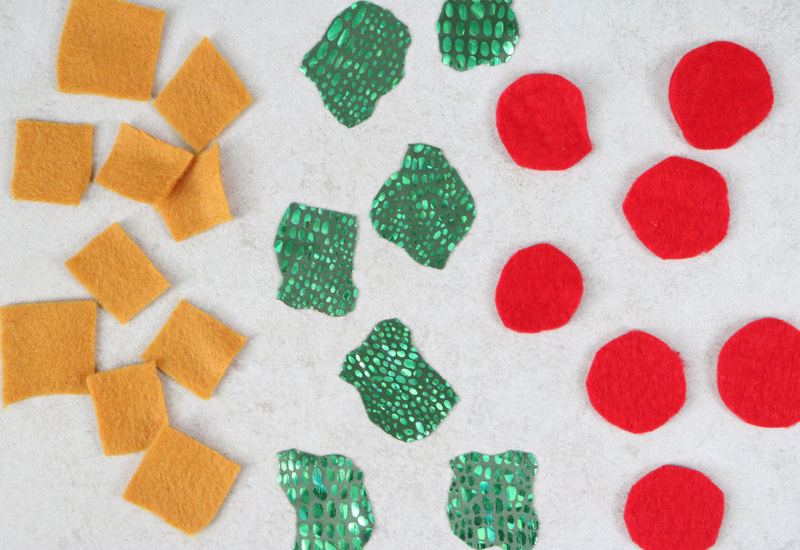 I used felt scraps for the red and yellow; the green is shimmery polyester. 4. 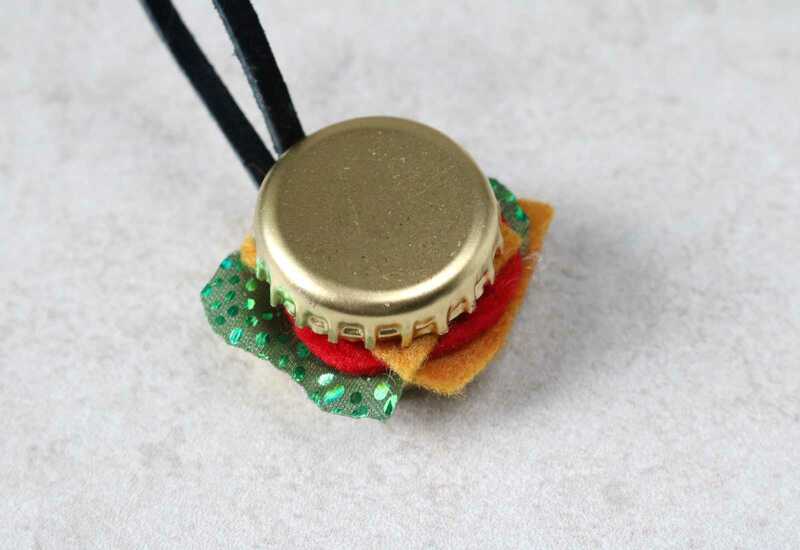 To start constructing the burgers, hot glue a piece of fabric to the inside of a bottle cap. Obviously, circle segments work best for this. 5. 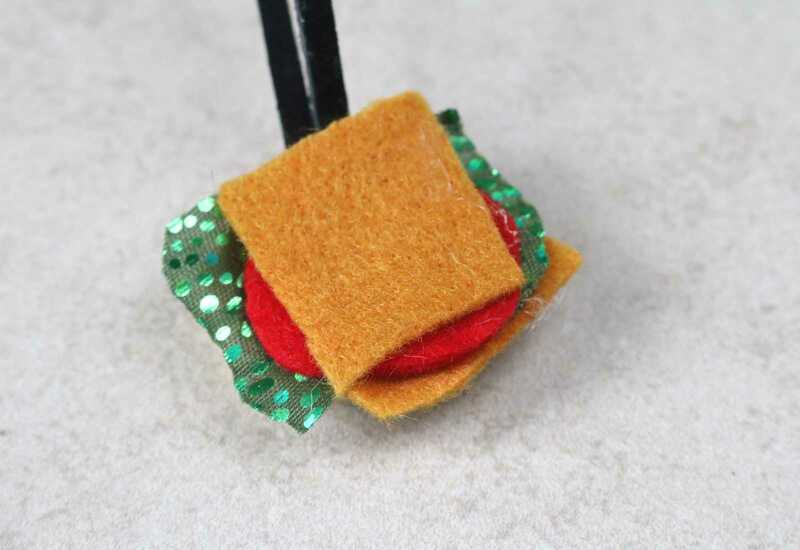 Build up the burger, adding layers of green, yellow, and red fabric. About 4 – 5 pieces should do the trick. There isn’t a right amount or placement for this process. Just layer it up and see what looks best. 6. 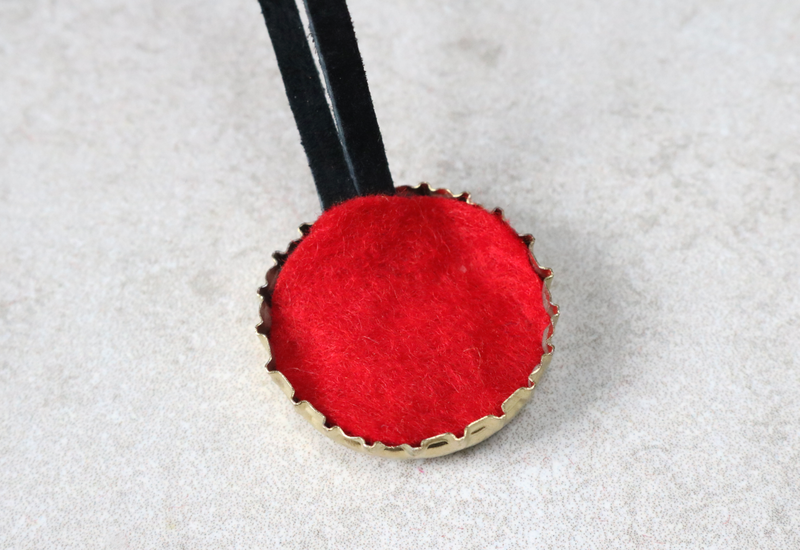 Once you’re happy with how it looks, add a huge glob of hot glue and add a second bottle cap. 7. If you’d like, add dots of white paint for sesame seeds. I actually used white out! 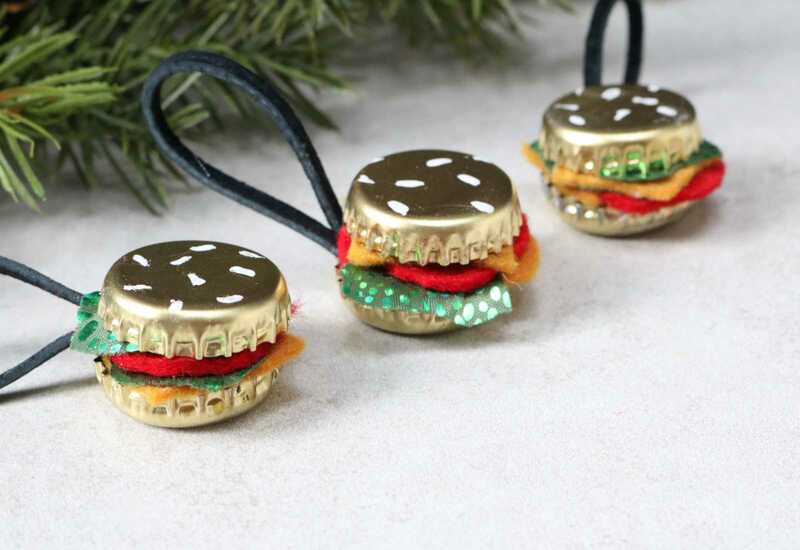 Now that I’m typing this, I’m realizing that these burgers are technically the veggie kind. I’m into it. So good. Not a bad way to recycle, too.